This year, we are going to be saved by the bell AND the 90s! Zach Morris, A.C. Slater, Kelly Kapowski, Jessie Spano and Lisa Turtle would surely not miss our Dueling Pianos event!. 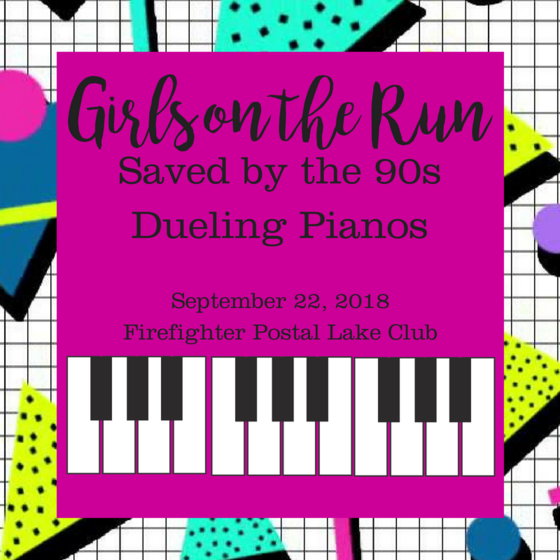 Grab your slap bracelet, butterfly hair clips, jelly shoes, flannel shirt and overalls for a night of boy bands, R&B, and dance-pop music on Saturday, September 22nd at the Firefighters Postal Lake Club in Springfield. If you or your business is interested in sponsoring or reserving a table for Dueling Pianos, please contact the office at 217-726-9808 or email Olivia Orth.